Speculaas is what I describe as Dutch gingerbread. It comes in a lot of shapes and textures. Store bought speculaas is a crisp cookie with an imprint of a windmill or characters in traditional Dutch outfits. For special occasions you can get extra-large cookies. 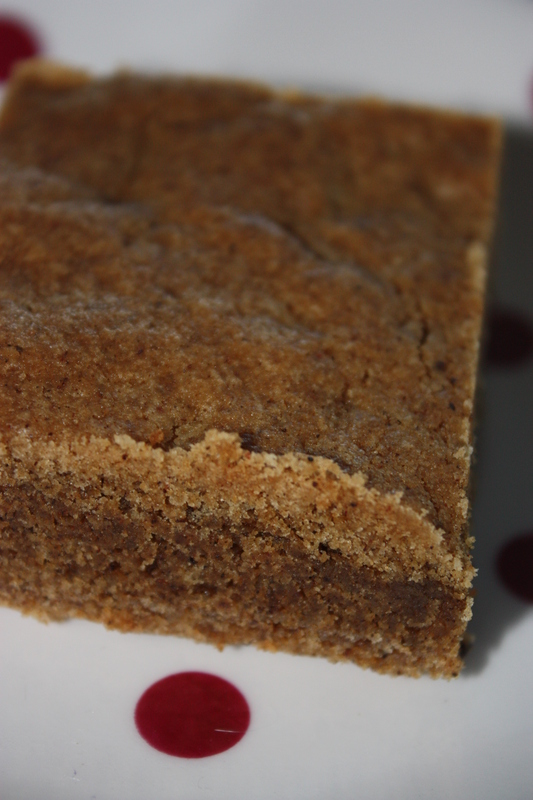 Homemade speculaas is a softer cookie or square. I like it best when I cook it a little thicker so it has a softer texture. 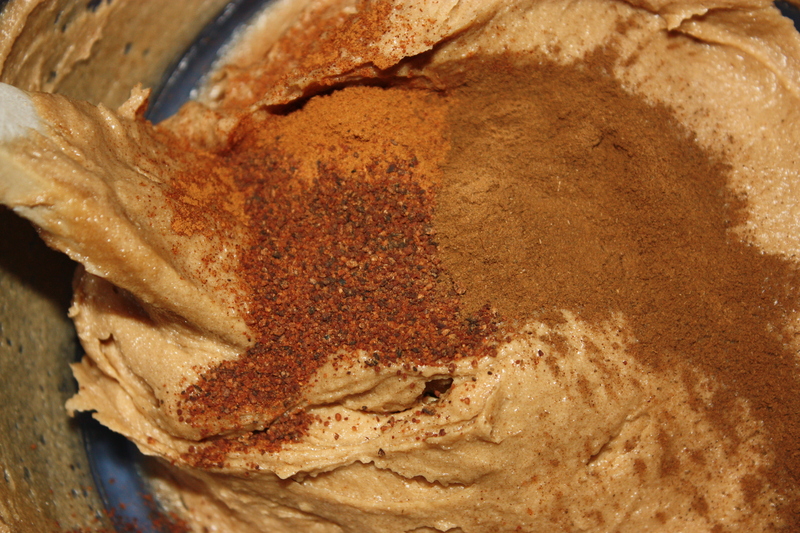 I’ve looked at a few recipes and there is quite a lot of variation in the amounts and types of spices. All I know is that with all the spices, it smells great while it is baking. The recipe I have is hand written, copied from my mom’s recipe. It only has a list of ingredients and a temperature, no time, no instructions. If I would have to guess, I would say that the recipe comes via one of my grandmothers through my mom. We made this a lot growing up. Traditionally, like gingerbread, it is associated with Christmas, but we would make it at any time of year. Cream butter and brown sugar until smooth. 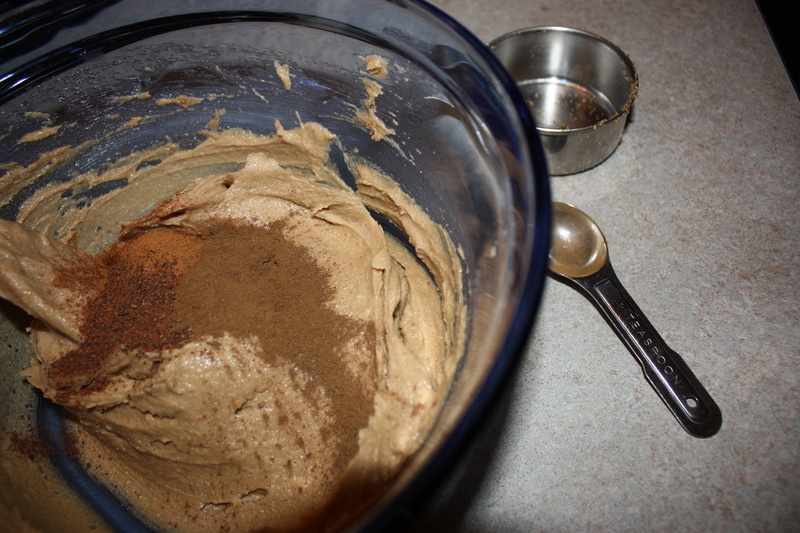 Add spices, baking soda, baking powder to mixture. I’ve also added a tsp. of allspice to the dough if the mood strikes me. Spread dough into a 9 x 5 pan (can use a larger pan to make a crispier, more cookie-like square, or even shape into cookies, or press into a mold). Bake in 350°C oven for 30 minutes until firm.